Краткое описание: One of the most beautiful golf courses in the world is now one of the most beautiful N64 games. The true physics of golf take the starring role in this ultra-realistic venture into the popular sport. You can customize the characteristics of up to 10 different golfers, including power, putting, recovery, and ability against the wind. Plan your approach, pick a club, get your stance just right, read the wind, decide whether you're going for spin, draw or fade, read the meter to get your power where you want it then swing! The six modes of play at your disposal are Waialae Open, Tournament, Stroke, Skins, Match, and Practice. 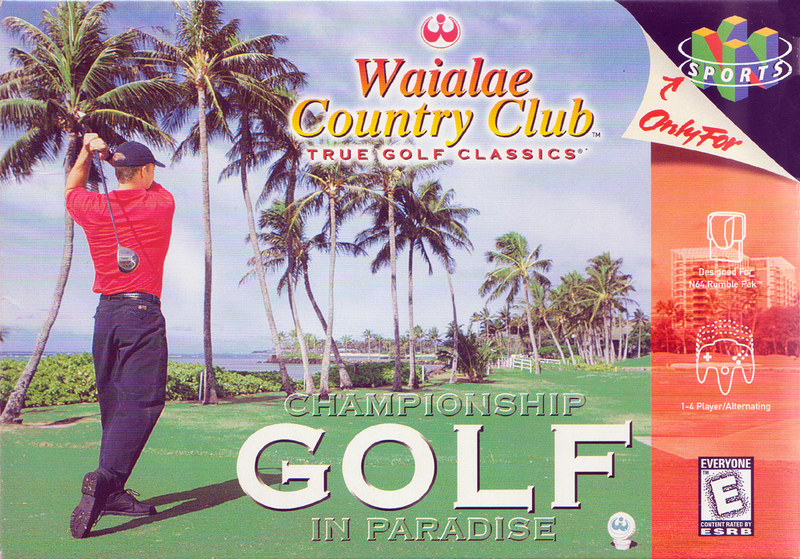 A truly comprehensive game, WAIALAE COUNTRY CLUB will even calculate your handicap for you for use in later play. Up to four players can have a go in each game, with all stats and results saved to the game's memory. The graphics and player animations are outstanding, the play is seamless and intuitive, and the location just can't be beat. Spend your next vacation in Waialae, golf fans. Just don't expect it to be easy. One of the most beautiful golf courses in the world is now one of the most beautiful N64 games. The true physics of golf take the starring role in this ultra-realistic venture into the popular sport. You can customize the characteristics of up to 10 different golfers, including power, putting, recovery, and ability against the wind. Plan your approach, pick a club, get your stance just right, read the wind, decide whether you're going for spin, draw or fade, read the meter to get your power where you want it then swing! The six modes of play at your disposal are Waialae Open, Tournament, Stroke, Skins, Match, and Practice. 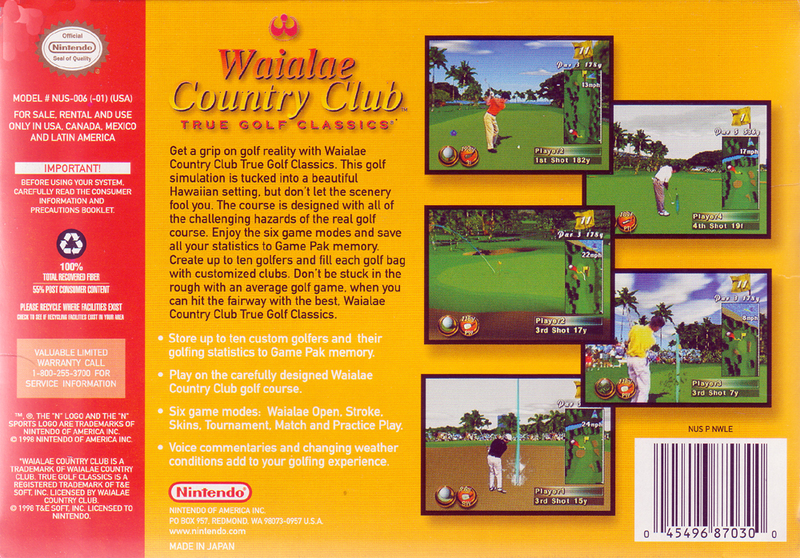 A truly comprehensive game, WAIALAE COUNTRY CLUB will even calculate your handicap for you for use in later play. Up to four players can have a go in each game, with all stats and results saved to the game's memory. The graphics and player animations are outstanding, the play is seamless and intuitive, and the location just can't be beat. Spend your next vacation in Waialae, golf fans. Just don't expect it to be easy.